With a streamlined and simplified design, this elegant Possini Euro Double shade bronze pendant light is design to accentuate your space with its charming presence. I am hoping for two of these to truly light my dining room table, which has been in the dark. This light is NOT bright enough, is there another lightbulb we can use, besides the three maximum 60 watt standard-medium base bulbs? BEST ANSWER: Hi - The manufacturer recommends using A15 size bulbs. But, you can try and fit A19 LED bulbs (larger in size) with a higher incandescent equivalency. How is the cord adjustable? BEST ANSWER: Hi - The cord can be easily cut to size. The electrician or other person installing the light can hang the light as wished since it hangs from a cord that does not run inside a pole. It’s a beautiful lamp. How long is rod ? BEST ANSWER: Hi - This includes a 9" rod and 12 feet of adjustable cord. Can this light hang from a sloped ceiling? BEST ANSWER: This light will hang nicely from a sloped ceiling. Yes. It mounts to a standard ceiling box. Is there a matching fixed ceiling light? BEST ANSWER: Hi, unfortunately we do not offer a matching ceiling light for this collection. Can you use LED bulb for this fixture?? Provide the warm light that I prefer. I find LEDs harsh. Absolutely, we also have ours on a dimmer. I understand that you provide one adjustable downrod (fixed 9" downrod) and 12 feet of adjustable cord. Would then the downrod be placed closest to the lamp, then the cord, adjusted to the preferred height, would be exposed the rest of the way to the ceiling? What color is the cord? Another question, if we purchase at a store, does it come assembled and if not, how difficult is it to assemble? Thank you. BEST ANSWER: The downrod is closest to the lamp, the rest of the cord is exposed up to the ceiling bracket. Color is dark brown. It does not come assembled, but it is relatively simple. Or you could probably have them assemble it for you. It's a very cool fixture. The downrod would be placed nearest to the fixture itself. My recollection is the cord is colored near the same as the downrod. I placed them in an office and it's been bit since I've seen them! I need a 18 feet of cord, rather than 13. Is this possible for an extra charge? BEST ANSWER: I am sorry, we do not offer any longer cord options. You may check with a qualified electrician for your options. 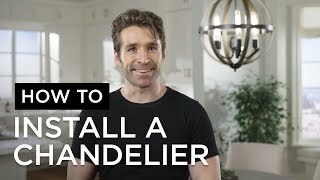 Is it possible to do a semi-flush mount with this lamp? BEST ANSWER: Hi Claire - unfortunately, not. But, I have added a link below for some other possible options you may like. How long are the down rods ?? BEST ANSWER: Hi Steve - this does not include adjustable downrods (fixed 9" downrod). This includes 12 feet of adjustable cord. Can this light be swagged to center over a dining room table from an off center junction box? Not without a swag adaptor kit. Do you have a coordinating vanity light 2 or 3 light style you recommend to coordinate with the pendant fixture? BEST ANSWER: This collection unfortunately does not offer coordinating wall lights. I have included a wall light that will coordinate with this item. 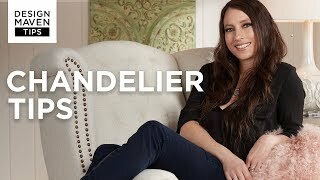 Does this light fixture have dimming? BEST ANSWER: It depends on the light bulbs you get. 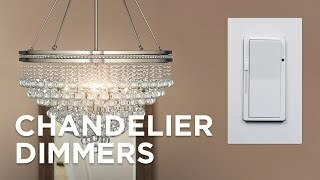 You can use any bulb type and provided the bulbs dim (which most of them do) you can use a dimmer switch to dim the lights. It has three standard bulb sockets and is wired directly to a ceiling fixture. You will need to provide a wall switch dimmer to achieve this functionality. 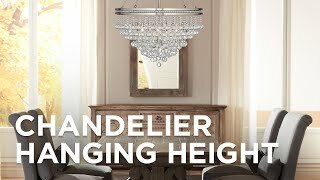 I have this fixture in my entry foyer and it dims beautifully. Be sure to buy dimmable light bulbs. a dimmer switch on your wall replacing standard switch should work. the fixture itself is basic. 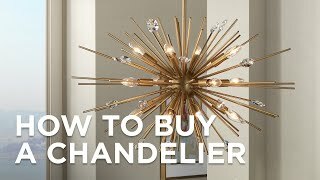 Can you suggest sconces that accompany this fixture? BEST ANSWER: Unfortunately, this collection does not have a coordinating wall sconce. I have included two wall sconces that will coordinate well with this pendant. BEST ANSWER: When installing, the cord can be cut to the desired height. Ours is mounted at 35" above the table. We love this pendant. It casts a beautiful warm glow on the table, on the ceiling, and into the room. Hope this helps! Yes, but once you hang it, that is where it will be. It really is pretty and classy,it is over our dining table. I had the electrician shorten the height for our installation. Yes. It hangs by a cord which you can adjust as you need. BEST ANSWER: Hi! We had one of our store locations compare the shades direction and they informed us that the shades are very close in color but not exact. They are not from a collection but if they are installed far enough apart they will coordinate. What is the total height of the fixture from the top of the rod to the bottom of the shade? BEST ANSWER: 35 inches from ceiling to bottom of shade, which puts the bottom of shade at a perfect 30.5 inches above the dining table. This fixture is beautiful and casts a wonderful glow. 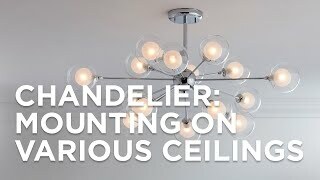 what is the highest from ceiling that fixture can be hung ? BEST ANSWER: The minimum height this can be hung at is 19". There is a metal rod which is part of the fixture as well as the canopy. The images are very accurate, but it is even nicer than shown. Put it over the kitchen table and is very attractive and functional. Highly recommend. 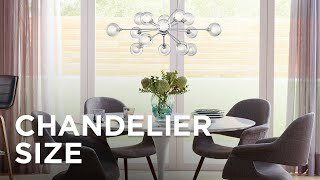 This light fixture from lamps plus blew every competing retailer out of the water!! It's simple yet gorgeous with gold hardware and a gold shimmer around the shade! It's perfect for the farmhouse style of our home. Love the gold and antique bronze, mixing these two metals side by side is always stunning! Bought this after seeing it in a store showroom. Just what we needed to replace an older fan light over our dining room table. Put in three 60W LEDs on a dimmer. Item came well packaged but nevertheless the shade had a few dings and had to take it back to the store. Lamps Plus had a replacement within a few days. If it weren't for that would have given it 5 stars. Super Chic and lots of light over dining table. Beautiful-I love it! Great customer service and price! Free shipping and no tax! 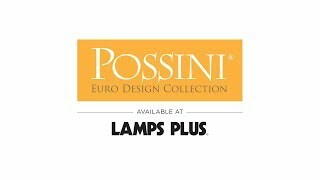 Highly recommend lamps plus and will definitely purchase from them again! Lamps Plus is always easy to deal with.